If you have spent any time on the internet, you have probably come across some seriously funny wrong number texts. The only thing funnier than wrong number texts is autocorrect fails. Seeing things like that probably makes you wish that someone would wrong text you so you can join in on all of the fun. This guy was begging to get a wrong number text, but he was not prepared for what this woman had in store for him. The whole conversation is hilarious. This gal just wanted her daughter to bring home a few groceries on her way home. It appears that she texted the wrong number. 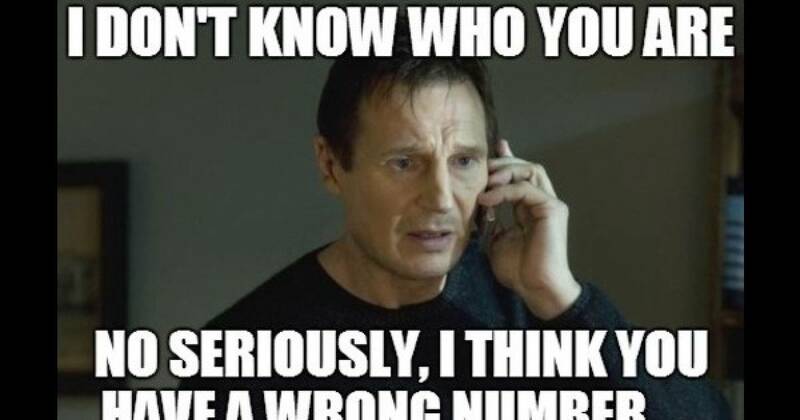 We are not quite sure how she would have gotten the wrong number in the first place, but the hilariousness that ensues is pure internet gold. It appears that mom is not playing around and refuses to believe that she texted the wrong number. She tries to put a real monkey wrench in her daughter's plans with Brad because she is not being cooperative via text. The guy she texted tried to play along for a little bit. It appears that this woman is incredibly clueless and is totally ignoring the fact that this guy is telling her over and over that she is texting the wrong number. He tries over and over to tell her about her folly, but she continues to act like it is some sort of joke that her daughter is playing with her. It is almost annoying how blind this woman is being. Even with the guy sending a selfie of himself with his wife, this woman still thinks it is some sort of game and insists that her daughter go to the store and grab the groceries she asked for or else. She even threatens to call her daughter's boyfriend's parents if she does not stop this charade. It is utterly absurd that this woman cannot seem to get a clue. How many different ways does this dude have to tell her she has the wrong number before she gets a clue. She is wanting to punish her poor daughter who has nothing to do with any of this. Jess' mother is done with the games. She even went as far as canceling her credit cards as punishment for this farce. Mom is now demanding to know where Jess is, and she still has not caught on that she has texted the wrong number. While she is quite annoying, this guy is clearly amused about toying with her a bit longer. You would have thought that by now this lady would have gotten a clue. She now thinks that her child has been a drug user since the age of 11. Now, this guy is starting to believe that he might be the one getting trolled here. Seriously, who could be this dense, right? Now, this lady finally realizes she was the dummy in this situation, but she decides to blame the poor guy she wrongly texted instead. Now, she wants to go off on this poor guy even though he repeatedly told her she had the wrong number. Somehow, he is the jerk though? While this lady is letting her frustration out, this guy realizes that he has internet gold in the palm of his hands. He definitely went viral after her antics. Some people just cannot admit when they are wrong.